This is, in my view, the definitive mastering of this classic album. It has a subtlety and brings out bits in the recordings I didn't realise were there (although this is better exemplified on "Give 'Em Enough Rope" and "Sandinista!"). On to the album. Personally, "Sgt Pepper", "Pet Sounds", "Born To Run", "A Night At The Opera", "Brothers In Arms", "Thriller", "Led Zeppelin IV", "Exile On Main Street" are not my favourite albums by those particular artists/groups, although they are popularly accepted as such. 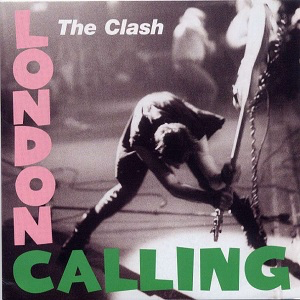 Similarly with "London Calling". I prefer "Give 'Em Enough Rope", "The Clash" and parts of "Sandinista!". That is not to overlook this album's undoubted quality and influence at the time. A "punk" group doing a double album? Wow! It worked too - a chocolate box of styles made for an always interesting listen and you are taken from one feel to another, track by track. 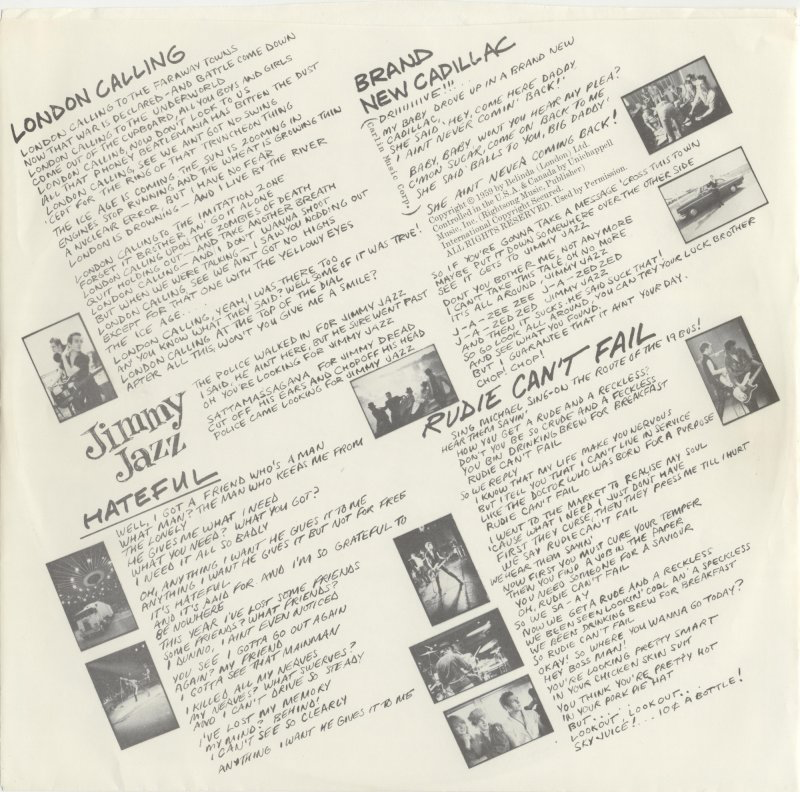 Just consider the first few - the urgent "rock" of "London Calling", the rockabilly r’n’b of "Brand New Cadillac", the jazzy slurrings of "Jimmy Jazz", the poppy "Hateful" and the calypso influenced bluebeat reggae of "Rudie Can't Fail". The old "disc one" sets the tone for the three subsequent discs. This album killed "punk" and even "new wave" stone dead. It was as seismic as all those groups going "weird" in 1967-68. Genres like roots reggae, ska, bluebeat, rockabilly were creeping in as influences everywhere in the early 1980s. No coincidence. This album opened many doors. For many, it is seen as one of the greatest albums of all time. There is some great reggae in here - the dubby, grinding shuffle of "Guns Of Brixton", the organ-driven rhythm of "Revolution Rock" and the irresistible ska of "Wrong 'Em Boyo". I would have liked "Armagideon Time" to have made it on there though. We get some classic rock in the fist-pumping "Death Or Glory", the riffy "Four Horsemen" and the rousing, anthemic "Clampdown". There is also some classic "Mick Jones rock" in the subtly amusing "Lost In The Supermarket" and "I'm Not Down". Like on "Sandinista! ", pretty much everything but punk. 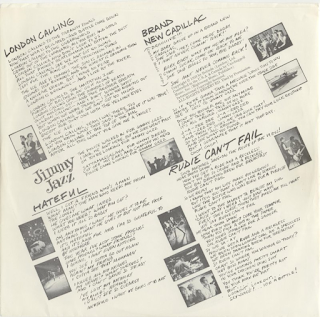 Not forgetting also the "hidden track", "Train In Vain", which was not credited on the original album cover. 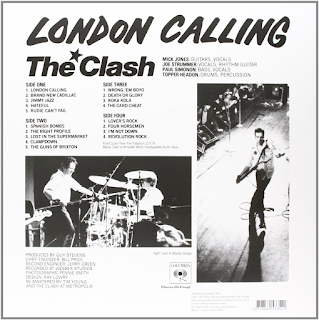 It is an upbeat, harmonica-driven bluesy romp which again, is nothing like anything else on the album, or indeed anything else The Clash had done previously. of different sounds and styles. "Spanish Bombs" is a catchy, but contemporaneously odd number, being based on acoustic and light lead guitar riffs. It is certainly not punk in any way. Neither, even more so, is "The Right Profile", a bluesy, slightly jazzy song with a drunken-sounding, typically Strummer-slurred singalong chorus. There is a real diversity of styles here that makes this quite a cornucopia. 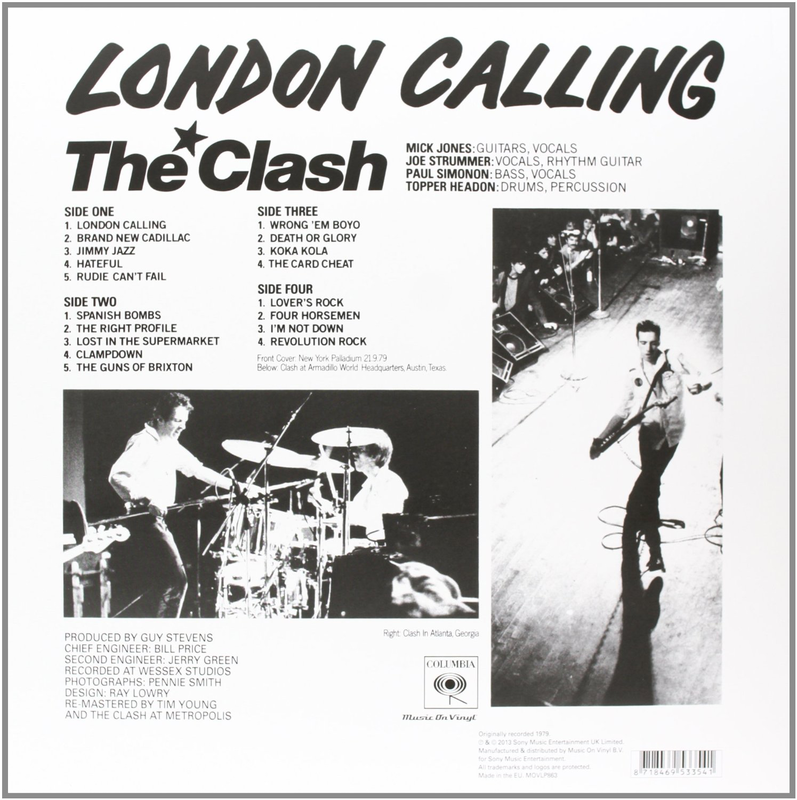 The Clash had laid down a marker that showed they were as willing to change as "old Bowie". They would continue to do so for the rest of their comparatively short career.